HIND, HENRY YOULE, teacher, professor, journalist, geologist, explorer, and author; b. 1 June 1823 in Nottingham, England, third son of Thomas Hind and Sarah Youle; m. 7 Feb. 1850 Katharine Cameron in York Mills (Toronto), and they had seven children; d. 8 Aug. 1908 in Windsor, N.S. Henry Youle Hind, the son of a prominent Nottingham lace manufacturer, was educated in local schools and, from 1837 to 1839, at the Public Commercial Teaching Institute in Leipzig (Germany). A year at the University of Cambridge (1843–44) and some months’ study in France in 1845 completed his formal education, which does not seem to have included any scientific training. Hind arrived in Toronto by way of the United States in the winter of 1846–47 and settled there. The following year he became assistant master in the new Normal School, where he lectured in mathematics, natural philosophy, and agricultural chemistry. 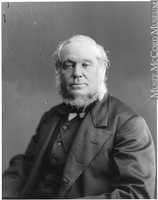 The chief superintendent of schools of Upper Canada, Egerton Ryerson*, was intent upon improving technical education, and he drew Hind into his program by making the Normal School a base for agricultural education. To this end, Hind was charged with overseeing an experimental garden there. Hind’s lectures on agricultural chemistry were published in 1850, but they were soon overshadowed by John William Dawson*’s textbooks. Ryerson also hoped to create a technical school in Toronto and Hind was eager in his support, drawing up a curriculum which Ryerson published in the Journal of Education for Upper Canada (Toronto) in 1849. In December 1851 Hind joined the reorganized Canadian Institute, and the following year he became the first editor of its Canadian Journal: a Repertory of Industry, Science and Art (Toronto), a position he retained until 1855. Under Hind’s direction, the journal, the first scientific periodical in Canada, fulfilled three functions: it reported upon the proceedings of the institute during its most active period, it published original papers by the foremost men of science in Canada, including John Henry Lefroy*, Henry Holmes Croft*, William Edmond Logan*, and Charles Smallwood*, and it reprinted scientific intelligence from abroad. The scientific news in the Canadian Journal had a strongly utilitarian bent, as it did in the contemporary Scientific American (New York). Some of the institute’s organizers had close ties to the mechanics’ institute movement, and a good deal of consensus on technical education was reached in Toronto during the 1850s. Hind’s long interest in technical instruction had made him an obvious choice to launch the journal. 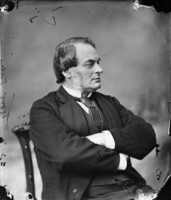 Despite having no evident chemical training, Hind joined Trinity College’s medical faculty as professor of chemistry in 1851. In 1853 he severed his connections with the Normal School and became a professor of the university, which awarded him an honorary ma the same year. Hind taught both chemistry and geology at Trinity, but geology came to consume more and more of his time, although in that subject he was self-educated. 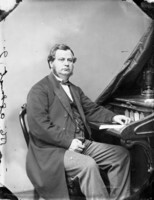 He also contributed a number of scientific and popular articles to the Canadian Journal and other periodicals and wrote for the Canadian Almanac (Toronto). He possessed sound journalistic skills, but his scientific publications were less than brilliant. In 1857 the Province of Canada, hoping to stimulate industrialization, created a board of arts and manufactures for each section of the province. In January 1861 the Upper Canada board launched the Journal of the Board of Arts and Manufactures (Toronto) and called upon Hind to be editor. The lively and informative monthly, which Hind directed until 1864, bore a strong resemblance to the first numbers of the Canadian Journal, combining scientific and technical news from the United States and Britain with household information and items of local interest on agriculture, manufactures, trade, exhibitions, and education. However, it had little impact, and the campaign of technical education which Hind and the board waged met with continuing disappointment. During the late 1850s Hind had begun to promote the expansion of Canada into the Hudson’s Bay Company lands in the northwest. 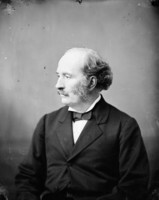 He was therefore eager to participate when a select committee of the Canadian legislature argued in 1857 for an expedition which would assess the agricultural and mineral potential of the northwest. Despite his lack of reputation as a scientific observer, his teaching and writing on geology made him a good candidate, and the minister of agriculture, Philip Michael Matthew Scott VanKoughnet*, was a member of the Trinity council. 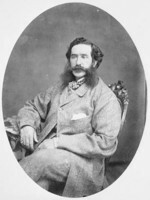 VanKoughnet referred Hind to the director of the Geological Survey of Canada, Sir William Edmond Logan, who was moved to recommend him, in part because of the unavailability of his own staff. In late July 1857 a party under the leadership of former HBC officer George Gladman* left Toronto, charged with following the canoe route from Fort William (Thunder Bay) to the Red River settlement (Man.) and assessing its usefulness. 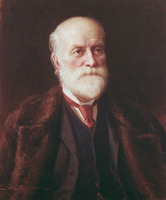 Hind was attached as geologist and naturalist, and he was assisted by John Arnot Fleming*, the brother of his lifelong friend Sandford Fleming*. After a number of misadventures to the hastily mounted and poorly organized expedition, including the serious illness of surveyor Simon James Dawson, Hind was able to make geological observations of the Red and Assiniboine valleys before returning to Toronto in October. 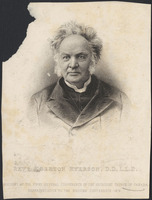 During the winter of 1857–58 he taught at Trinity, served as curator of the Canadian Institute, and wrote a voluminous and eclectic report on the expedition. Although scientifically weak, the report gained sufficiently positive notice that Hind was appointed to lead an expedition to the west of Red River in 1858. The instruction given to Hind by the provincial secretary of Upper Canada asked him to observe geological formations, natural history, meteorology, and topography and to comment on agricultural potential. The government was not, however, concerned with scientific aspects except where they might indicate the possibilities for farming and mining. During the summer of 1858 Hind’s party moved rapidly through parts of the Assiniboine, Souris, Qu’Appelle, and South Saskatchewan valleys. The expedition was not a true geological survey, but Hind did make valuable observations on mineral deposits and agricultural potential. That he overestimated the latter stemmed from his trusting unreliable and inapplicable data and perhaps from his excess of enthusiasm in promoting the northwest. Hind’s reports of the expedition demonstrated that his talents as a geologist were mediocre, and he was never employed by Logan or his successor, Alfred Richard Cecil Selwyn. His reworking of the reports, the Narrative of 1860, is, however, one of the classics of 19th-century exploration literature, offering a clear, detailed, and colourful account of the prairies and their inhabitants on the eve of settlement which would change them forever. The success of the Narrative persuaded Hind that writing popular works offered satisfaction and financial security; the latter was particularly important to him because of his large family and his small income from teaching. In 1859 Hind attempted to persuade the British government to finance an expedition into the northwest, and when he failed he turned to other activities. He led a small party, which included his brother William George Richardson*, up the Rivière Moisie into the Labrador interior in 1861, hoping to find a route to the Atlantic. The expedition was unproductive scientifically but resulted in 1863 in another colourful work. At the same time Hind became a vociferous proponent of confederation. In this cause he edited and partly wrote the collection Eighty years’ progress of British North America (1863), edited the British American Magazine (Toronto) between 1863 and 1864, and made political contacts in Britain. These efforts to promote Canadian expansionism, would, he hoped, provide him with scope for further explorations and for publications based on them. Hind travelled to England in February 1864 to read his most significant contribution to science, a paper on glacial drift, to the Geological Society of London. While there he met Peter Mitchell*, a member of the New Brunswick cabinet, and became interested in geological surveying in the Maritimes, which were in the early stages of a mineral boom. He stopped in Fredericton in April and apparently came to an agreement with Mitchell and Premier Samuel Leonard Tilley* to undertake a government-sponsored exploration of the north of the province. He resigned from Trinity in May and began surveying in June. The previous year Loring Woart Bailey*, professor of chemistry and natural history at the University of New Brunswick in Fredericton, had commenced a survey of the southern counties. Hind and Bailey initially had cordial relations, but they soon became locked in a bitter dispute. Moreover, when the surveys were completed in 1865 it was discovered that the legislature had allocated funds for only one report. Both were eventually published by the government, but the charges and counter-charges of incompetence and plagiarism between the supporters of Hind and Bailey ensured that geological surveying sponsored by the province would cease. The controversy placed Hind under a cloud, even though many parts of his report were sound and his promotion of New Brunswick resources might have been useful. With no prospects of employment in the province, he moved his family to Windsor, N.S., in the autumn of 1866. In Nova Scotia, Hind became a consulting geologist for the provincial government and undertook promotional work for mining groups. He also published a number of scientific articles, as well as some that boosted mineral resources. In 1876 he surveyed the coast of Labrador and became keenly interested in its fisheries and ocean currents. His map of Labrador currents brought him a gold medal and a diploma two years later at the universal exposition in Paris. The Newfoundland government, in 1877, possibly on Sandford Fleming’s advice, had invited Hind to undertake a geological survey of the island. That summer he appeared as Newfoundland’s representative before the Halifax Fisheries Commission [see Sir Albert James Smith*], and his organizational talents obtained for him the position of editor of the commission’s papers. 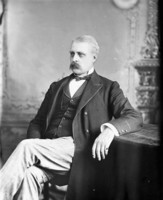 In 1878 he gave testimony on the settlement of the northwest before a Canadian parliamentary committee. Perhaps because of his long struggle to gain acceptance and permanent employment, from 1878 Hind began to exhibit increasing paranoia in a series of virulent attacks on governments, officials, and businessmen. He claimed that Canada had obtained a larger monetary award from the fisheries commission than warranted because of falsified statistics, and that there was a conspiracy to allow businessmen to speculate in former HBC lands. The money from these sources would finance the Canadian Pacific Railway, which would inveigle hapless immigrants into the infertile southern prairies. By 1883 Hind’s publications were libellous and showed signs of near-insanity. Then he suddenly stopped publishing on science and the promotion of resources. Apart from a brief altercation with the proprietor of a Halifax girls’ school in 1887, he lived in retirement. He was a member of the board of governors of King’s College in Windsor during the 1880s, wrote a history of the college, and received an honorary dcl from it in 1890. Henry Youle Hind is best remembered as one of the more successful of those British-born, intelligent, active, and restless men who were attracted by Canada’s vast empty spaces and great promise. Although he was a capable geological observer and made several percipient comments in his reports, he cannot be considered one of Canada’s important pioneer scientists. For Hind, science was never more than a means to an end. That end was not the amassing of a personal fortune; rather, the exhilaration of an exploring trip and the excitement of communicating his discoveries and elaborating upon their utility remained foremost. 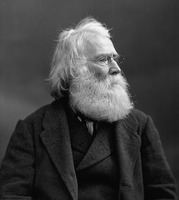 A photograph of Henry Youle Hind at about the age of 60 is in the McCord Museum (Montreal), Notman Photographic Arch. The only important collection of his papers, though a limited one, is in PANS, MG 1, 470–71. A small collection of papers, paintings, and sketches is at the MTRL; additional materials relating to him are scattered through the Toronto Mechanics Institute papers at the same repository. Relevant correspondence to or from Hind is also found in the William Edmond Logan papers at MUA, MG 2046; at Trinity College Arch. (Toronto); in the John Strachan letter-books at AO, F 983; and at the NA in the Sir Edward William Watkin papers (MG 24, E17) and the Tilley papers (MG 27, I, D15; mfm. at PANB). Material on the western expeditions is in the provincial secretary’s records (NA, RG 5, C1, 523, 579), and in the Dawson family papers at AO, F 1008. A few scattered references can also be found in several collections at the NA. Secondary sources used include W. L. Morton, Henry Youle Hind, 1823–1908 (Toronto and Buffalo, N.Y., 1980), the DNB, Zaslow, Reading the rocks, and W. O. Kupsch and W. G. E. Caldwell, “Mid-nineteenth century cretaceous studies in the Canadian interior plains,” HSTC Bull. (Thornhill, Ont., and Ottawa), 6 (1982): 59–84. A comprehensive bibliography of Hind’s writings, including unpublished addresses as well as his printed reports and articles, appears in Morton’s biography. His Narrative of the Canadian Red River Exploring Expedition of 1857 and of the Assinniboine and Saskatchewan Exploring Expedition of 1858 (2v., London, 1860; repr. 2v. in 1, Edmonton, 1971) is a popular reworking of his two official accounts: Report on a topographical & geological exploration of the canoe route between Fort William, Lake Superior, and Fort Garry, Red River . . . during the summer of 1857 (Toronto, 1858) and North-West Territory: reports of progress; together with a preliminary and general report on the Assiniboine and Saskatchewan Exploring Expedition . . . (Toronto, 1859). Other important publications include: Two lectures, on agricultural chemistry (Toronto, 1850); Essay on the insects and diseases injurious to the wheat crops (Toronto, 1857); A sketch of an overland route to British Columbia (Toronto, 1862); Explorations in the interior of the Labrador peninsula, the country of the Montagnais and Nasquapee Indians (2v., London, 1863; repr. Millwood, N.Y., 1973); A preliminary report on the geology of New Brunswick, together with a special report on the distribution of the “Quebec group” in the province (Fredericton, 1865); The effect of the fisheries clauses of the Treaty of Washington on the fisheries and fishermen of British North America (2v., Halifax, 1877); Sketch of the Old Parish Burying Ground of Windsor, Nova Scotia; with an appeal for its protection, ornamentation, and preservation (Windsor, 1889); and The University of King’s College, Windsor, Nova Scotia, 1790–1890 (New York, 1890). He was also one of the editors of Eighty years’ progress of British North America . . . (Toronto, 1863), which went through several editions; those of 1868 and 1869 appeared under the title The Dominion of Canada; containing a historical sketch of the preliminaries and organization of confederation. . . .
Hind’s scientific papers include “Observations on supposed glacial drift in the Labrador peninsula, western Canada, and on the south branch of the Saskatchewan” and “On two gneissoid series in Nova Scotia and New Brunswick, supposed to be the equivalent of the Huronian (Cambrian) and Laurentian,” Geological Soc. of London, Quarterly Journal, 20 (1864): 122–30 and 26 (1870): 468–78. Both were reprinted in Canadian scientific journals, and are summarized in Philosophical Magazine (London), 4th ser., 27 (1864): 476 and 40 (1870): 382–83. Richard A. Jarrell, “HIND, HENRY YOULE,” in Dictionary of Canadian Biography, vol. 13, University of Toronto/Université Laval, 2003–, accessed April 22, 2019, http://www.biographi.ca/en/bio/hind_henry_youle_13E.html.